Disclaimer: I do not buy this drink. And this is not an ad post. I got them for free. But I do not get any sponsors from Nutrigen or any kind of company/manufacturers/dealers that have any associates with the brand to write this post. My friend who work in a wholesale store bring this to me because she can't finish it alone. Her workplace were about to dispose them because the expiry date is just around the corner (EXP 4Sept2012). And she got permission to take them home from her workplace. This post is to share my experience while consuming the product and how satisfy I am with the result. Please also note that my friend doesn't even know that I blog. I have post out the Nutrigen LiteYo Yogurt Drink and here I present the Live Culture milk from the same brand! Just when the LiteYo is about to run out, my friend brings more boxes of stuff to us. It's the Nutrigen + Choline Live Culture Drink. It comes with 5 small bottle in a pack. It has 4 flavors and you'll not going to get every flavor in a pack. Unless you are lucky I guess. Made in: Malaysia? I'm sure either. I did google Mamee Double-Decker Berhad is founded by a Malaysian. Claims: For healthy stomach and colon. Sucrose, Glucose, Milk Solids, Citric Acid, Lactobacillus Acidophillus Culture and Choline Chloride. Contains permitted Flavoring and food conditioner. 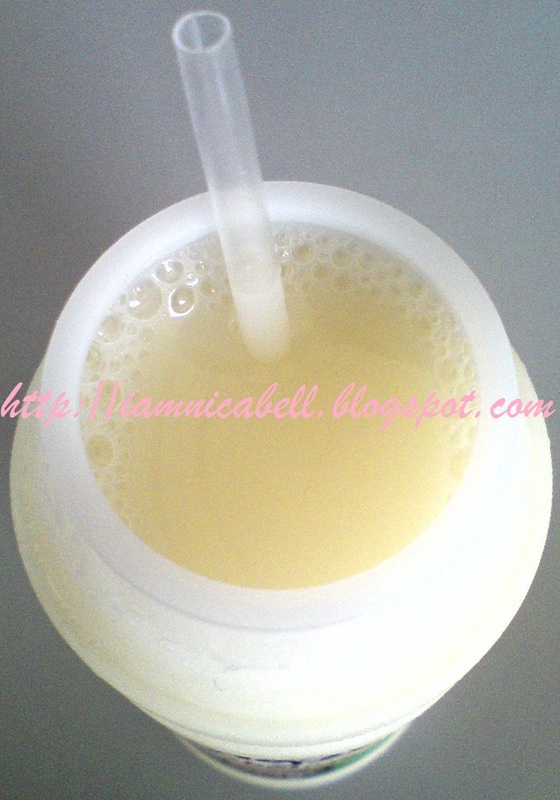 Sucrose, Apple Juice, Milk Solids, Citric Acid, Lactobacillus Acidophillus Culture and Choline Chloride. Contains permitted Flavoring and food conditioner. Sucrose, Grape Juice, Milk Solids, Citric Acid, Lactobacillus Acidophillus Culture and Choline Chloride. Contains permitted Flavoring and food conditioner. Sucrose, Orange Juice, Milk Solids, Citric Acid, Lactobacillus Acidophillus Culture and Choline Chloride. Contains permitted Flavoring and food conditioner. Pricing: Since I got it free from a friend, I don't know the price. I bought it before but can't remember the price. But I do remember they are not exceeding RM5.00 per pack. Texture: Not as thick as LiteYo or any yogurt drink. Much like Vitagen. ~ Taste like real fruit juice. But My favorite much be the original. ~ Certainly good for stomach and colon. ~ Cheaper than Vitagen for sure. ~ Too sweet for my liking. But the original one is not as sweet as it entourages. ~ Coloring and flavor is unnecessary. But it won't appeal to the consumer without 'em, right? ~ I remember they never sell a pack with one flavor only. I would love to have the original only. I grew tire of the other flavor easily. ~ some of the seal are not as tight. Some of its contains leak out. But they are still ok. No rotten bottle found. Will I purchase it? Since this one is give FOC to my household, I certain going to purchase it and had purchase it before. I'll give this product 4 out of 5 stars. Just cause I love the original flavor. The rest is not my liking.